FIFA has two options for when to play the 2022 World Cup in Qatar, and both of them are in winter. “We are getting closer to narrowing the dates for the FIFA World Cup to two options — January/February 2022 or November/December 2022 — but FIFA has also been asked to consider May 2022,” secretary general Jérôme Valcke said after a FIFA task force meeting on Monday. Moving the tournament from summer to winter will be damaging for domestic leagues, players, TV broadcasters, and maybe even the 2022 Winter Olympics. In its 2010 bid proposal, Qatar promised to hold the tournament in June/July with the help of revolutionary stadium-cooling technology. Those cooling technologies remain untested or nonexistent with eight years to go until the tournament. And now any hope of a summer World Cup is dead for the simple reason that you can’t hold a soccer tournament in 120-degree heat. FIFA medical officer Jiří Dvořák reportedly told the task force that it’s too hot to stage the tournament between April and September. The European Club Association — which represents the continent’s biggest professional teams — proposed that the World Cup be held in April/May, but that plan appears to be dead in the water after Monday’s meeting. In a statement, FIFA also mentions that Ramadan falls in April of 2022, further burying the ECA plan. 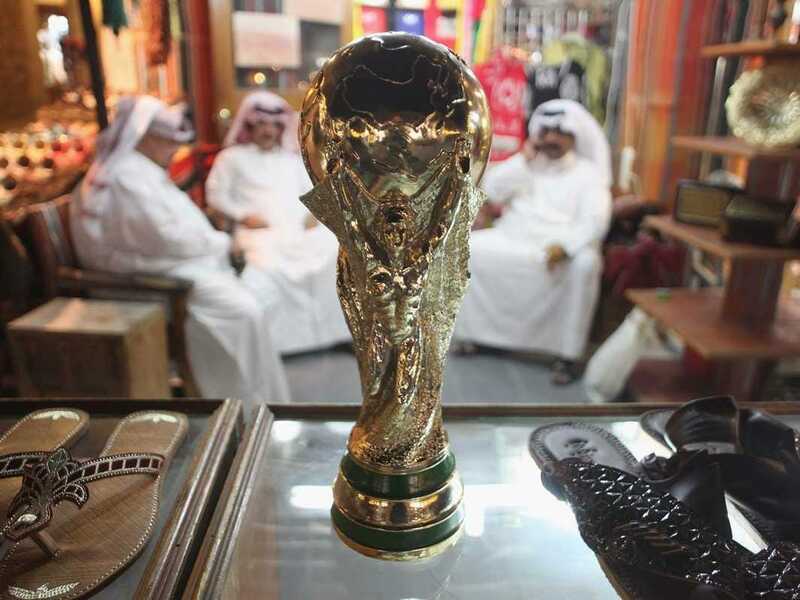 During the bidding process in 2010, FIFA’s own evaluation found that a summer World Cup in Qatar would be a health risk for players and fans alike. Those concerns were ignored at the time. A January/February World Cup would be the less disruptive option of the two since many domestic leagues take winter breaks anyway during the time. But a February World Cup would conflict with the 2022 Winter Olympics, which the IOC says would never happen. That leaves November/December as the most likely window. The FIFA task force will meet again in early 2015. It’s unclear if they will pick a date at that time.